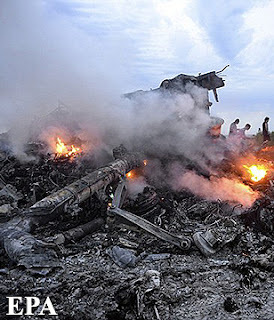 An anonymous source in one of Ukraine's security agencies said that the Malaysian Boeing was shot down as a result of an unauthorized Ukrainian Buk-M1 launch. 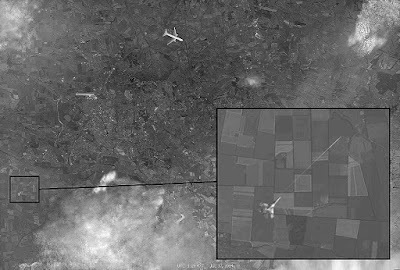 RIA Novosti reports citing a source in a Ukrainian security agency that the MH17 catastrophe may have been the result of an unanticipated situation during the training of one of Ukraine's air defense units. 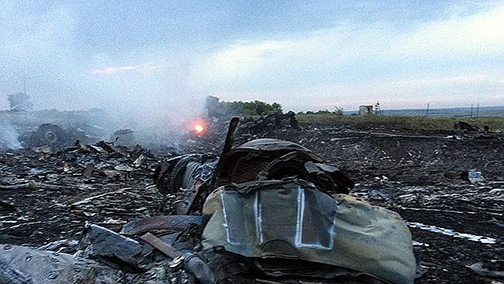 The anonymous source states the following: "On July 17 2014, the commander of the 156th Anti-Aircraft Missile Regiment was instructed to conduct missile crew training on providing coverage for Ukrainian ground forces in the suburbs of Donetsk, which entailed deploying the battalions, training target acquisition and tracking procedures, and carry out a simulated destruction of an aerial target using Buk-M1 missiles." He said that battery commanders were issued launch keys, however, there were no plans to launch an actual 9M38M1 missile. The training exercise involved two Su-25 aircraft, their task was to conduct aerial reconnaissance and designated training targets in the vicinity of Ukrainian troop concentration to the West of Donetsk. The source: "After one of the aircraft entered Buk detection zone, it began to be tracked by a missile crew located near Zaroshchenskoye. In all likelihood, due to a tragic coincidence the flight paths of the Malaysian Boeing and the Su-25 coincided and, in spite of the altitude difference, were indicated on the Buk radar as a single target which proved fatal for the Boeing. If two targets are located on the same azimuth from the launch vehicle, the tracking system automatically shifts to the one which represents the largest radar target." SBU is trying to establish why the unauthorized launch took place. The source does not possess information about the course of that investigation. We should note that the scenario described above is consistent with the results of the recent investigation conducted by Almaz-Antey. 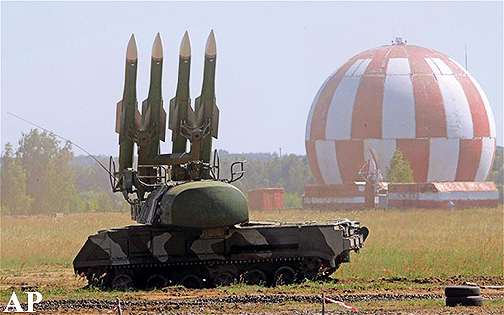 According to Russian experts, the Boeing was shot down by a 9M38M1 missile launched by a Buk-M1 system located near the village of Zaroshchenskoye which was under Ukrainian control. 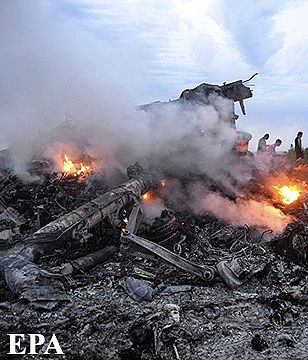 Netherlands are conducting the main investigation of the July 17 catastrophe. The majority of victims were citizens of that country. Final results are expected in October. "I've translated the Almaz-Antey investigation presentation some months ago, and I also wrote more than once that whoever was shooting at the MH17 likely thought he was shooting at something else. And that "something else" was most likely deemed to be a Russian military aircraft intruding into Ukraine's airspace. Because the airliner (which was following a non-standard route) would not only be visible as a significantly bigger target than the single-seat Su-25, it also would not be equipped with a Ukrainian military IFF. And to make things worse, Ukrainian press at the time carried not only stories about a Russian ground invasion of Ukraine, but also stories of Russian aircraft intruding into Ukrainian airspace. So what started as a training exercise may have morphed into "this is not a drill" shooting war scenario…"
That's the most likely Su-25 connection to the shooting, for my money. It is extremely unlikely the MH17 was shot down by an Su-25 because that aircraft is capable of carrying only short-range heat-seekers with small warheads that would not cause the sort of damage the MH17 sustained. 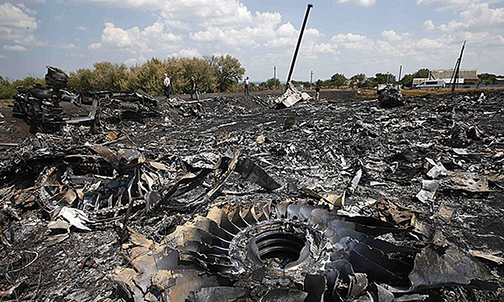 If the MH17 was struck by an air-to-air heat-seeking missile, that missile would have struck one of its engines causing a engine fire but not much else--the warhead is too small to even blow off the engine. This, in turn, would have given the crew time to issue a mayday call and take other measures to try and save the aircraft. They were not able to do that because the cockpit crew was killed almost instantly by the heavy Buk warhead exploding in close proximity of the cockpit. Turchinov? Or how about the former SBU head Nalivaichenko who's been spilling the beans on Turchinov's corruption? Or, again assuming that aspect of the story is legit, it might be an indication that the Ukrainian military might be in the mood for a little coup of its own to finally be rid of this crew of extremist mediocrities that passes for the country's civilian leadership. Translated from Russian by J.Hawk. The Graveyard Of Western Civilisation?